Summer University, a program based on international partnerships, was launched in 2007 by the Board of Higher Education of the Canton of Vaud. It brings together students from different countries and cultures together for condensed courses with credits. DGES partners with swissnex network to facilitate the organization of programme in USA, India, Singapore and China, which is a more recent partnership. To explore the possibility to set up Summer University with a Chinese partner and Heig-VD, Mexline Stettler (DGES), Anna Lupina-Wegener and Laurance Larghi (professors from Heig-VD) came to Shanghai on the week of April 15 to visit universities and companies. The aim is to establish Summer University in 2 fields: crosscultural management and business engineering. 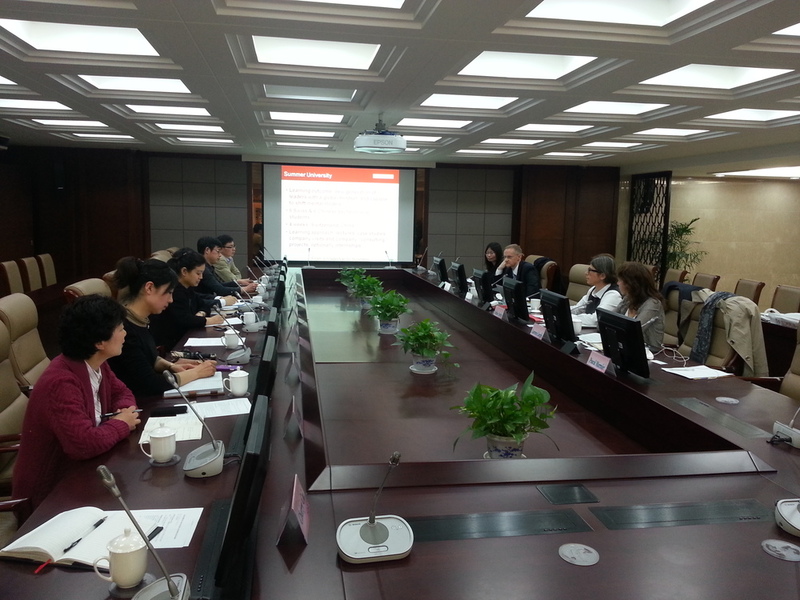 Shanghai University, Shanghai University for Science and Technology, and Shanghai Institute of Finance and Trade welcomed the delegation and all showed interest in the propasl. The trip was also extended to Wuxi, a neibouring city in Jiangsu Province and the delegation visited Jiangnan University there. As companies are an integral part of the Summer University which students will visit and do research on, the delegation visited Andress+Hauser in Shanghai and Buehler in Wuxi, both are successful Swiss companies in China. The delegation will spend another week in Beijing to continue the exploratory trip.